UltraMarine, Tallin, Estonia. 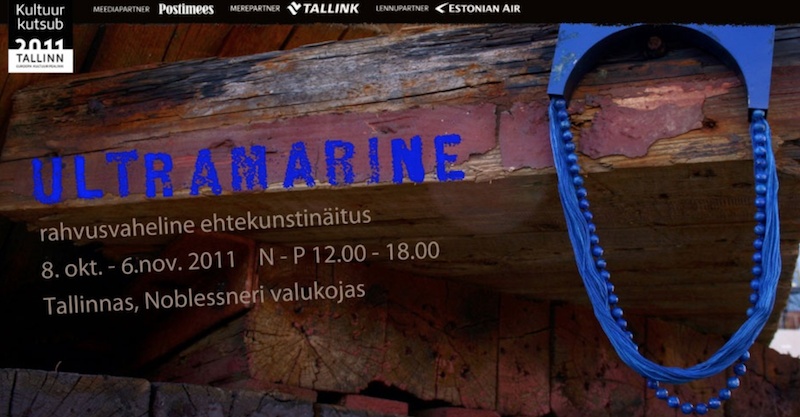 As a part of the program of the European Capital of Culture Tallinn 2011, 51 artists from Estonia, Europe, US, Australia and Asia are invited to show their work in a century old shipyard. UltraMarine as a word derivates from Latin Ultra + Marinus and means ’over the sea’ or ’beyond the sea’. Ultramarine is a fiery blue pigment extracted from lapis lazuli, one of the oldest precious stones used in jewellery for thousands of years. Lapis lazuli or lazurite was imported to Europe from Middle Asia by sea via Venice, hence the name ’beyond the sea’. Organized by Merle Kasonen, Julia Maria Künnap, Maarja Niinemägi and Kertu Tuberg.